2018 is a new beginning and the perfect time to make important changes in your life. Creating a New Year’s resolution with specific goals and objectives is a great way to improve your wellness. 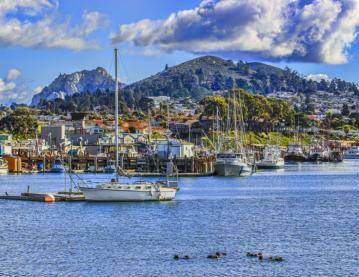 San Luis Obispo County (SLO CAL) provides a variety of exciting possibilities to help you accomplish your New Year’s resolution and stick with it. 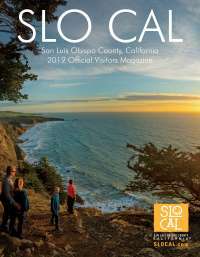 If you are looking to get outside and adventure more in 2018 SLO CAL has a variety of local businesses here to help you get your feet wet (literally). Try something new in 2018 by kayaking with Central Coast Outdoors. Kayak tours led by an expert guide allow you to experience the beautiful Morro Bay Delta and all it has to offer. Take 2018 by the reins! Central Coast Trail Rides offers visitors with guided horseback tours on some of the most picturesque regions of SLO CAL. Explore areas of Paso Robles, Cayucos, Cambria and more. 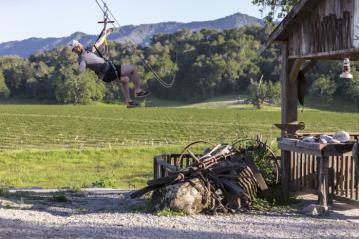 Margarita Adventures provides visitors with over 3,000 feet of ziplining over acres of vineyards at Santa Margarita Ranch. 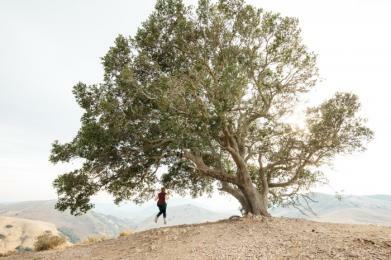 If fitness is at the top of your mind, SLO CAL has no shortage of ways to help you reach your goals. Whether you’re a newbie or an experienced yoga-fanatic, you’ll be able to practice your yoga on beautiful beaches, vineyards or wherever you choose to lay your mat. Yoga classes among the vines at Castoro Cellars. Sycamore Mineral Springs offers eight different types of yoga classes as well as pilates and T’ai Chi. One class in the Healing Arts Dome and you’ll be hooked. 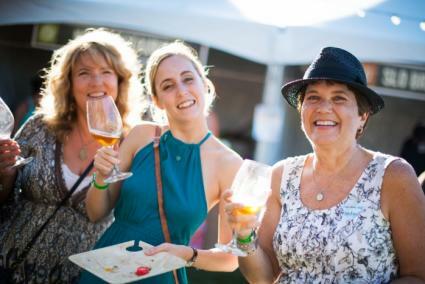 Or, check into Silver Horse Winery’s brunch and yoga. Get exercising while adventuring by hiking one of the many trails. Check out: Serenity Swing (Pictured), the Bluff Trail at Montaña de Oro, Cerro San Luis, or the Three Bridges Oak Preserve in Atascadero. 2018 is the year that you made the decision to eat right. 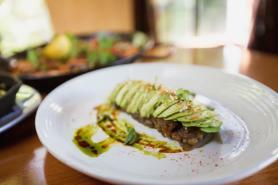 Let SLO CAL be your hub for restaurants that provide delicious and nutritious options. Vegetable Butcher offers an eclectic variety of natural ingredients, you didn’t know you wanted. Enjoy Tennessee Hot Free Range Chicken Tacos or try the Market Enchilada comprised of butternut squash, quinoa, poblano and topped with hibiscus pickled red onion and ancho chili chocolate mole. 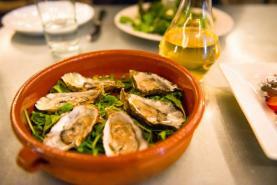 Let Thomas Hill in Paso Robles bring the farmers market to you. With fresh from-the-market ingredients, meat and seafood locally-sourced and a penchant for Central Coast cuisine, you’ll have a tough time narrowing your options. Check out an established part of Cambria’s culture. Robin’s presents a wide range of healthy global options that have earned it many accolades throughout the years. Many cities in the county host weekly Farmers Markets. 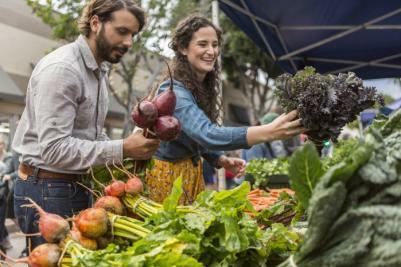 Purchasing fresh produce from local farmers can improve the quality of your 2018 diet. A winemaker dinner, seminar and Grand Tasting dedicated to the blends of Paso Robles wine country. Did we mention this event is held behind the gates of the Hearst Property in the Old San Simeon Village? Meander through galleries, stores and museums in downtown San Luis Obispo the first Friday of every month. Enjoy prominent musicians from all over the world as they perform on the Central Coast. Live music, local creations and a market full of high-quality sea glass. Enjoy film screenings of modern works of art as well as classic movies in theaters all over SLO CAL during this six-day festival. Click here for the entire 2018 SLO CAL Events List.